The Christian journey is no easy path. Yet many believers suffer from false assumptions that Christians are supposed to have it all together, that the walk of faith should be one of comfort and ease, and that difficulties come solely from mistakes or unfaithfulness. 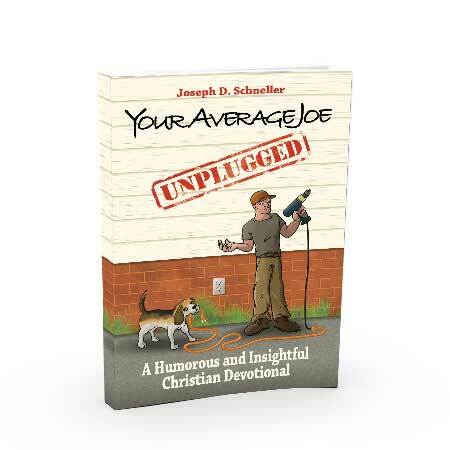 In Your Average Joe Unplugged, Joseph Schneller voices inner struggles of faith that resonate broadly among Christians. He writes for those tired of the canned answers, for everyday believers desiring to live in faith amidst the joys and pains, the responsibilities and tragedies of life. Through 30 daily devotionals and a half-dozen humor articles, he presents honest, often humorous encouragement for your Christian pilgrimage through this fallen world. And all throughout he shows how, by Christ's grace, our everyday lives can have eternal impact. Spread throughout the book, small sections titled “But Seriously . . . ” break away from the scriptural and spiritual sides of devotionals and, instead, simply entertain readers with fun stories that “Average Joes” love to hear. 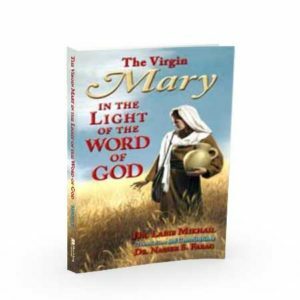 Presented in a thirty-day format, normal chapters contain a practical lesson, a passage of Scripture, personal encouragement from the author, and a prayer. Schneller makes a connection with the average person by describing his struggles with unemployment and dissatisfaction with the entry-level, low paying jobs he was forced to take after America’s economical crisis in 2008. As an ex-Marine captain, Schneller understands perseverance; his writing style displays an honest longing for audience members to know perseverance as well. On “Day 8,” the author becomes more real, personal, and meaningful than ever before. He writes, “I do not know by what means the Lord will provide. I range from hope, despair, freedom, shame, depression, faith, and anger. There has never been more at stake for me” (p. 23)…I recommend this book to people who have struggled with unemployment or who are new Christians and want a book that is theologically friendly. Your Average Joe Unplugged offers a refreshing blend of honesty and humility in this daily devotional. There is no substitute for real world life experience when addressing the doubt and struggles we all face. Average Joe is brave enough to step into the limelight and expose doubt and fears. After drawing the reader in with honest vulnerability, Your Average Joe then has the wisdom to offer refreshment and hope from God’s Word. I wasn’t quite sure when I first ordered this book what to expect. However, when I began reading, I couldn’t stop laughing. He has a comical view on every aspect presented in this book. It hits close to home for those who have been without a job wrestling with their faith. The book really made me feel closer to God. After reading it, I was happy to pass Your Average Joe along to whomever I could. I was thrilled with it completely. I was so glad that I got the book. I’d tell you in a heartbeat to go get this book for yourself today! Add it to your library. It would make a great Christmas gift. I give this book five stars! Joseph Schneller lost his business, a restaurant franchise, in 2008, about the same time the economy took a nosedive. As he struggled with the challenge of job-hunting, paying the bills, and being a husband and father to his family, he wrote a blog chronicling his spiritual battles. Those blog posts became the book, Your Average Joe, Unplugged. It’s a one-month devotional, but more than a devotional. Schneller walks us through his own experience, as he applies the Bible and its promises to the day-to-day challenges and fears of an unemployed “average Joe.” There is much insight here, and courage I can only admire. Also humor, very well done. I can hardly think of a more timely book. Your Average Joe, Unplugged is highly recommended, especially for those seeking jobs, underemployed, or worried about their jobs. And who isn’t right now? This book is so halarious!!! I had no idea that an Average Joe could be so funny and so spot on when it comes to life,family and God.Originally,I bought this book for my husband but I decided to read it myself before he gets to it and I am so glad I did.Joe Schnelling is an average guy,like most of us,who has problems and real life issues.He talks to you like he’s your neighbor or friend,he really gets our struggles and gives great,practical advice that anyone can use.Joe is a very blessed man and he has found the way to a deep,meaningful relationship with our Lord and if Joe can do it,we all can do it too!! After I got Joe’s book, I thought I’d just read the intro to start, but his subject matter and writing style kept me reading – I read the first four devotionals in one sitting. It’s not often that’ll I’ll read something that makes me alternate between laughing out loud (which I rarely do when I read) and tearing up, but Your Average Joe made me do just that, several times over, during the first reading. I shared the book with my husband, and now he’s reading it each day during his daily Bible reading. The devotional topics, and how the author explores them, are by turns funny, insightful, thought-provoking, and surprising. 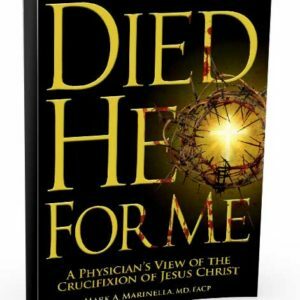 I appreciate the author’s strong understanding and interpretation of scripture, and how he keeps each message Christ-focused (not self-focused). This book will appeal to both men and women (especially husbands and wives). 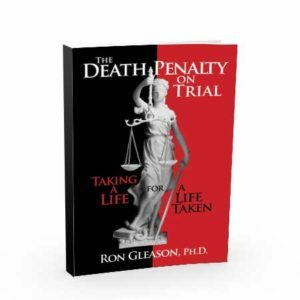 Can a devotional be funny, informative and simply plain easy to read? Sure. Why not? Humor is the approach author Joseph D. Schneller has taken in his soft cover devotional, “Your Average Joe Unplugged,” a 30-day reflection on 21st century living for guys who love their God. 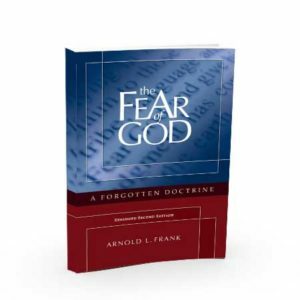 Once in a while a devotional comes along that stands conventional wisdom on its head and this book qualifies as one. The former U.S. Marine Corp. captain turned author brings a refreshing reality to the Christian walk taken by many guys, men who approach God with reverence while still trying to be the husbands, fathers, businessmen or workers who are so very prone to temptation and making mistakes, yet who desire to live victorious, overcoming lives. Joe’s humorous approach is at once appealing as it is illuminating. That side of him is most evident in six interspersed “But Seriously” chapters where he lightens up and allows his humor to roam unchained. In his “So You’re Gonna be a Daddy” chapter, Joe shares the experience of a man who learns that his wife is pregnant. Talk of “tinkling on a stick” to confirm the pregnancy gives way to having a man crisis – such as wanting to buy that fast, red sports car you always dreamed about. Yes, if being a husband doesn’t sometimes seem confining, becoming a father and suddenly coming face-to-face with the reality of being responsible for a young person’s life for the next two decades can seem downright scary…and restrictive. Once you realize the awesome work of God at hand as He begins to shape life within your wife’s belly, thoughts of football, food and selfish desires quickly fade into the background. Schneller’s daily devotionals make for an easy read, served up in one page segments focused on thought-provoking topics such as truth, fear or danger. Following that, he offers up a “bread for the soul” section divided into three parts: today’s scripture, today’s prayer and today’s encouragement. In “Truth and the Spiritual Starbucks,” Schneller gets to the heart of the matter and notes that truth for many people is relative and is often muddled by what the world says, by what other religions teach or is based on a person’s made-to-order beliefs. The Starbucks analogy is a good one as it shows how many people approach truth: we pick and choose the “drink” to suit ourselves. Never mind that we’re always inconsistent and that we never look at the menu in the way that God does. “Unplugged” can be just the right book to give to a guy who may not like to read or who struggles with some of the traditional devotionals plugged by churches such as “My Utmost for His Highest.” This easy read plus a modern translation of the Bible may inspire your guy to dig deeper, allowing the Holy Spirit to speak to His heart, perhaps in a way He has never experienced previously. Joseph D. Schneller served as a captain in the U.S. Marine Corps and holds a Psychology degree from Whitworth University. He is an alumnus of the Christian Writers Guild. His publishing credits include Focus on the Family’s Thriving Family, Clubhouse, and Focus on the Family; LifeWay’s Stand Firm; and Walk Thru the Bible’s Indeed. He writes nonfiction and humor for adults, and fiction for children, youth, and adults. Be the first to review “Your Average Joe (Unplugged)” Click here to cancel reply.